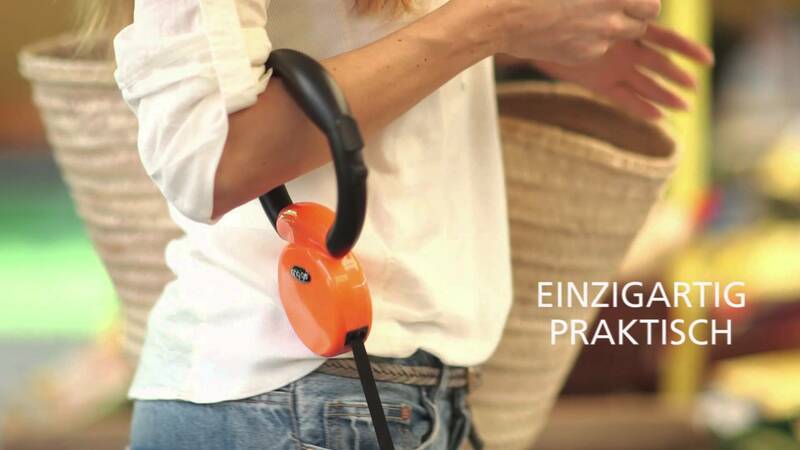 Not only does this innovative leash stand out thanks to its unique design, what’s also impressive is how practical it is to use. 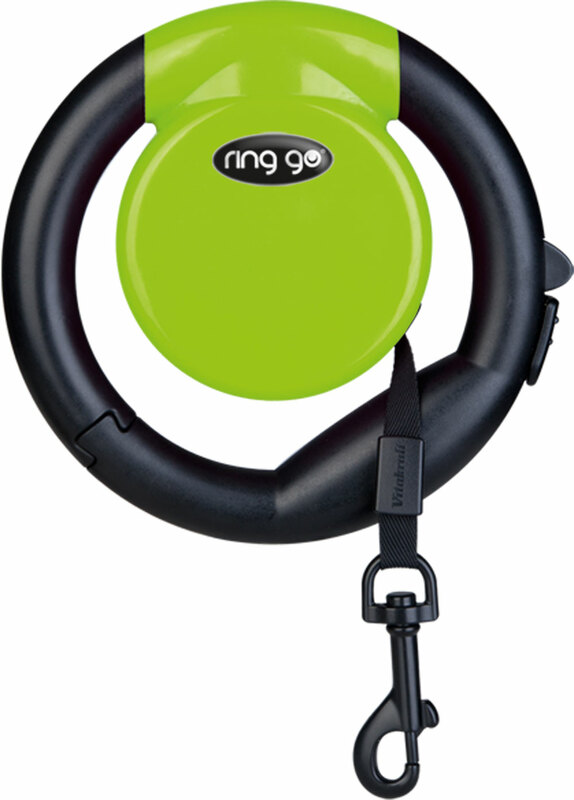 While the body of the leash and grip save space by cleverly folding into one compact unit, they simply click apart when used. 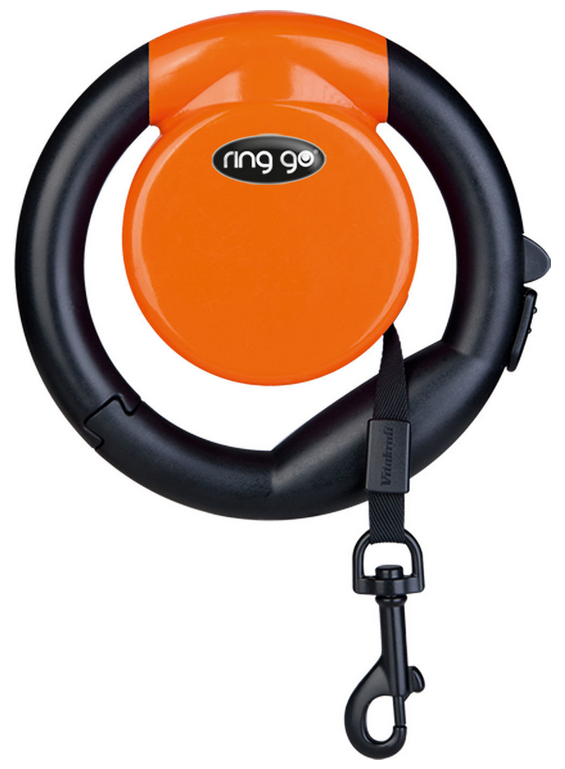 ring go® is suitable for use with any dog weighing up to 25 kg. 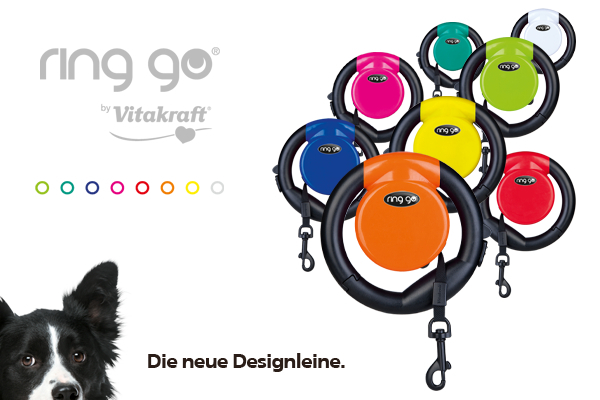 With a leash length of 5 metres, it gives the dog all the freedom to move it wants, while naturally keeping the focus on the animal’s safety at all times. 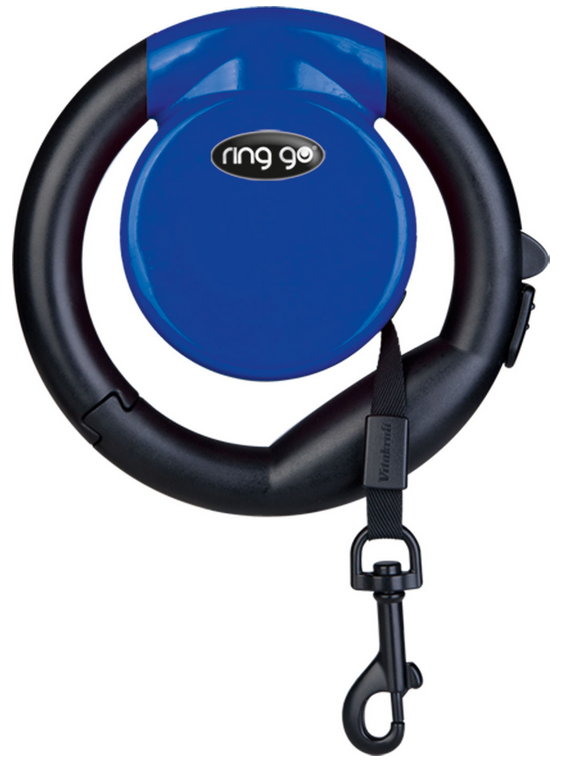 Hinged handle: Ideal for flexibly attaching a leash areas such as wall hooks, etc.